We should be shouting a lot more about F1..engaging the future. 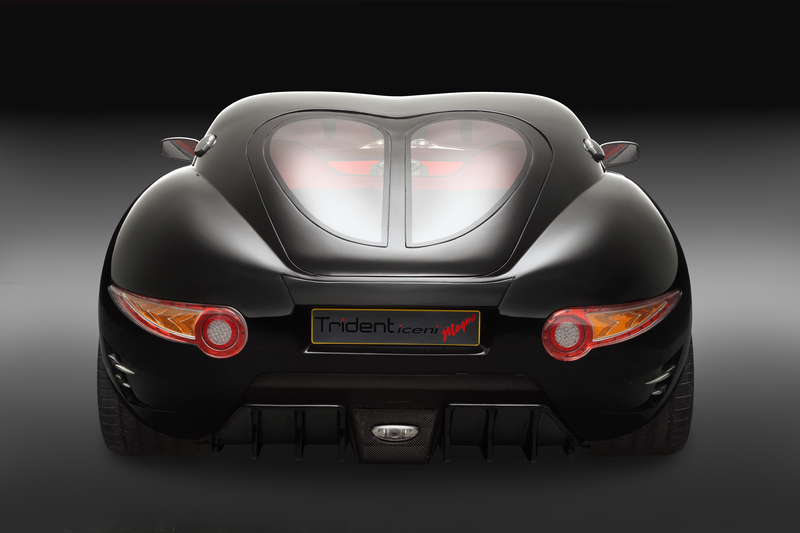 Trident Sports Car, the British sports car brand established by Phil Bevan and Daniel Monaghan in 2005, has made its flagship Iceni – claimed to be the world’s fastest and most fuel efficient diesel sports car – available globally. 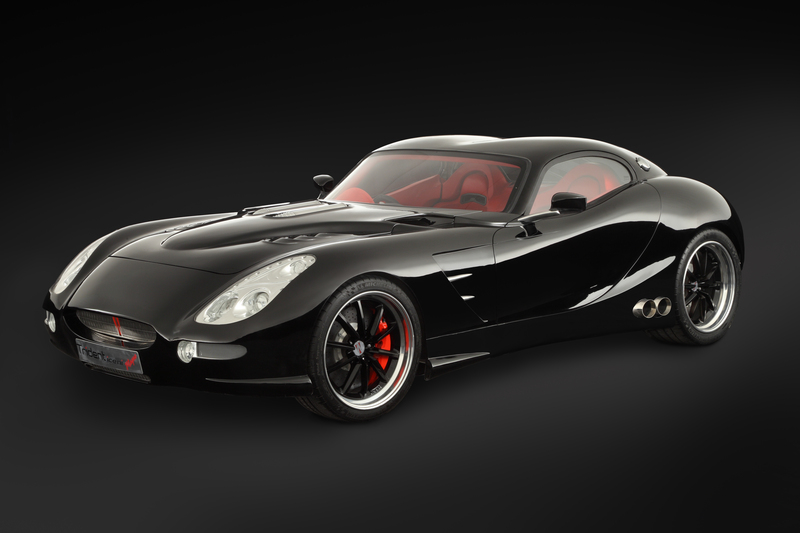 With a top speed in excess of 190mph and able to run for 2,000 miles on a single tank of mineral or bio-diesel, the Iceni uses torque multiplication technology (which Trident has patented) to achieve a unique combination of speed, power and fuel efficiency (by up to 20 per cent). A V8, 6.6-litre turbo diesel engine sits under the bonnet. Two new models to the Iceni range are also unveiled today – the Iceni Magna (fastback) and Iceni Venturer (estate). Prices start at £96,000. 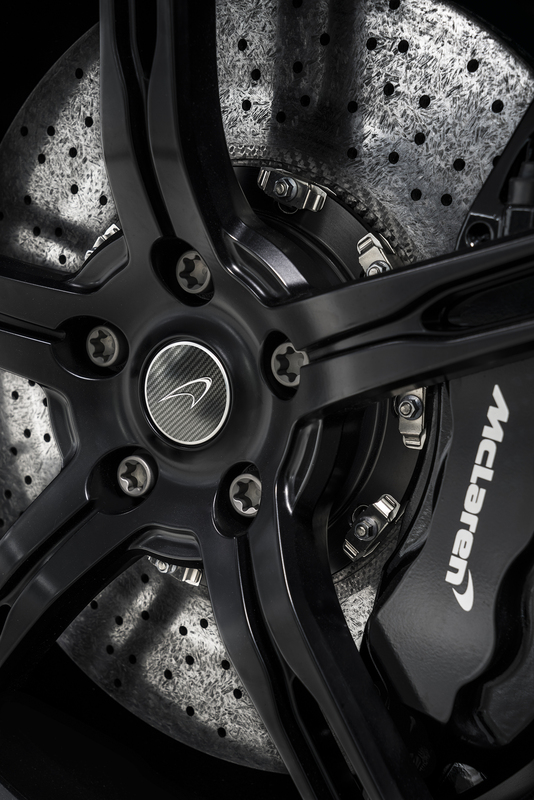 The bespoke division of McLaren Automotive – McLaren Special Operations (MSO) – has released images of its MSO 650S Coupe Concept – a showcase of the MSO-designed and engineered upgrades available for the McLaren 650S Coupe and 650S Spider, the latest models to join to the McLaren Automotive range. The model is being shown throughout China over the coming weeks and includes an array of bespoke MSO features, including a newly designed carbon fibre rear diffuser and MSO-branded carbon fibre side blades. The striking MSO 650S Coupe Concept has a stealth-like, menacing appearance, with subtle upgrades made to the exterior bodywork and within the driver-focused cabin. 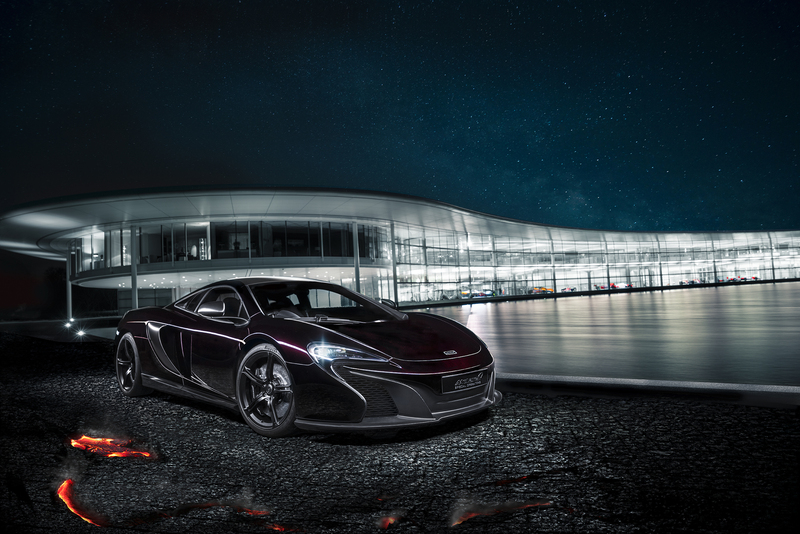 The MSO 650S Coupe Concept is finished in Agrigan Black – a metallic black paint specially developed inhouse with a deep ruby red metallic flake. This paint effect gives the exterior bodywork a dramatic colour change in direct sunlight, contrasting with the extensive use of satin-finished carbon fibre highlights. 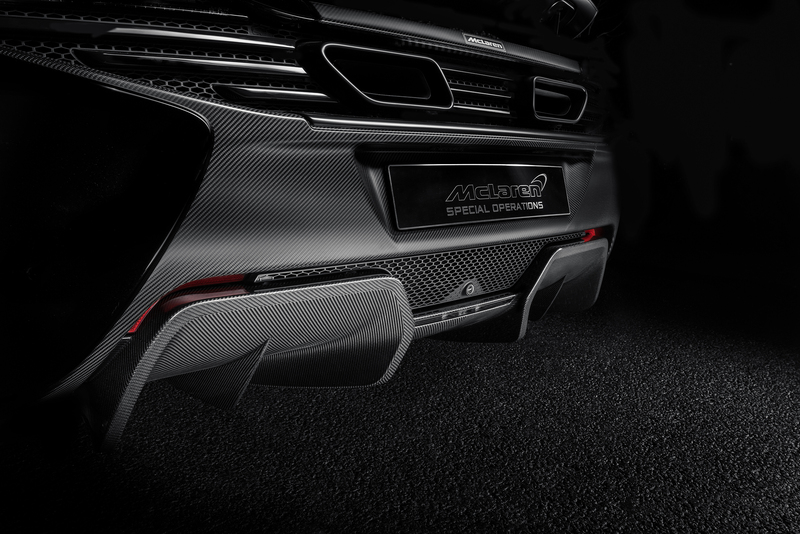 The lightweight carbon fibre accents, including the prominent front splitter and air intakes, are complemented by bespoke MSO carbon fibre side blades and the unique MSO ear diffuser. The MSO branded side blades are a more aggressive, full length, interpretation of the door blades seen on the 650S Coupe and Spider models. Finished in satin, they offer increased improvements to the airflow along the edges of the bodywork, further optimising aerodynamic efficiency. At the rear, the GT3-inspired rear bumper features a carbon fibre centre section, and the lightweight material carries through to the carbon fibre airbrake and unique MSO rear diffuser. 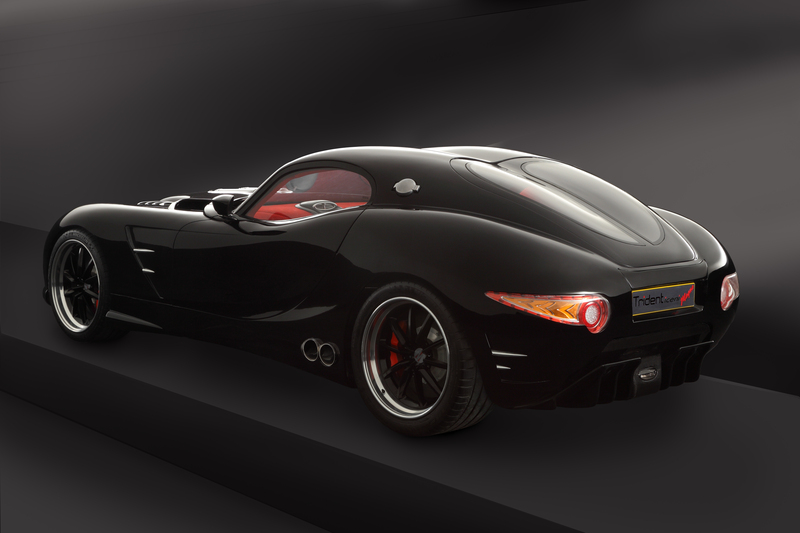 The engine bay has been further enhanced with satin black engine covers and a satin finish to all carbon fibre parts. The purposeful exterior look of the MSO 650S Coupe Concept is finished with the addition of a set of special satin black finished lightweight 650S alloy wheels, shod with Pirelli P ZeroTM Corsa tyres. 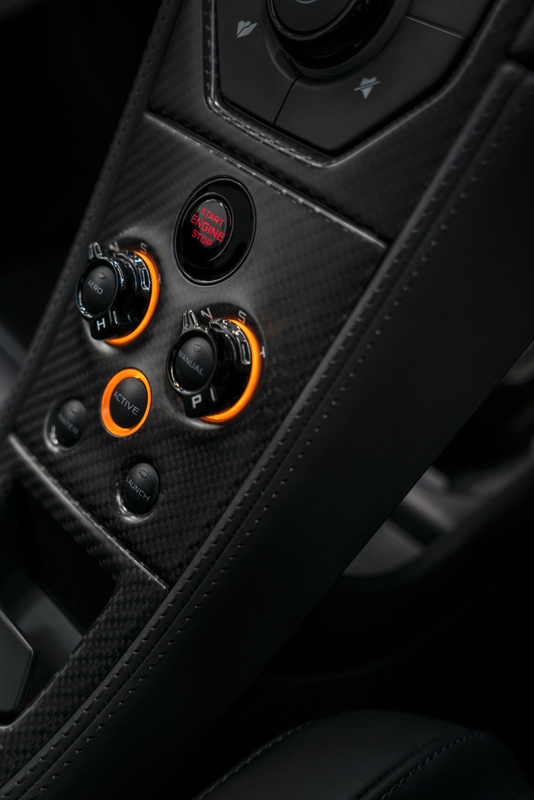 Inside the cockpit, the one-off design showcase is fitted with the fixed-back carbon fibre racing seats, based on the lightweight design found in the McLaren P1TM, finished in carbon black leather. The seats position the occupants lower in the car and provide superb levels of upper and lower body support, while offering a weight saving of 15kg. 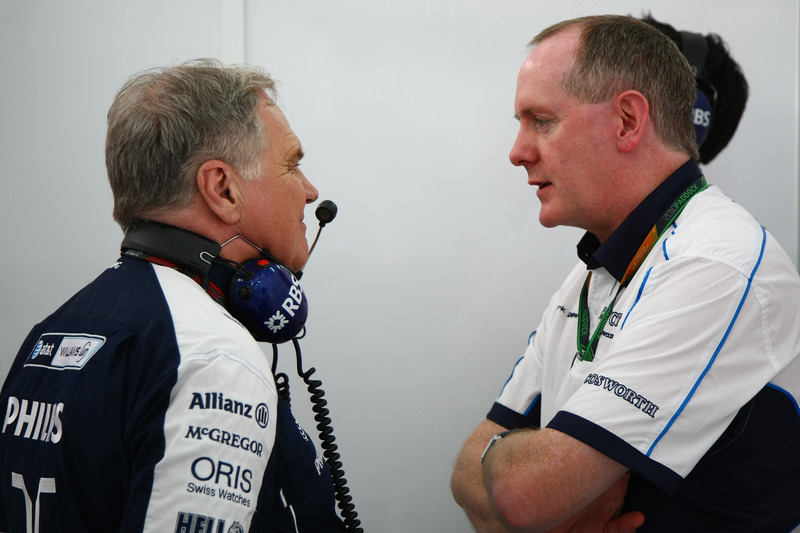 Fancy a job in F1? The Infiniti Performance Engineering Academy will see two winning candidates complete a 12-month assignment with triple World Championship-winning F1 team Infiniti Red Bull Racing, based in Milton Keynes, UK. The two graduates will work alongside Infiniti engineers already based at the F1 team’s factory. They will also spend time at Infiniti’s nearby technical centre in Cranfield where they will improve upon their knowledge of future road car technologies. The new programme is the latest development in the Infiniti Red Bull Racing partnership. Recruitment will open later this year. National selections across several global regions will begin in May 2014, putting applicants through a comprehensive selection process to assess their performance potential and innovative thinking. 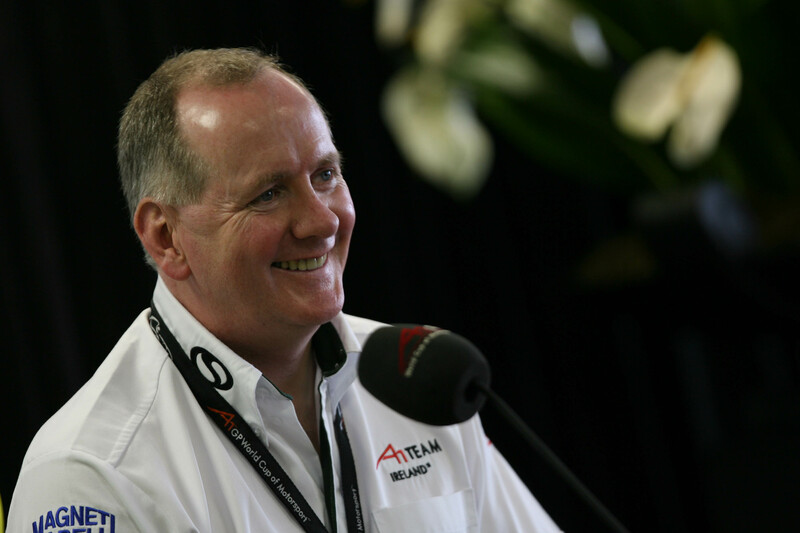 Finalists will present their ideas to a panel of senior technical figures from Infiniti and Infiniti Red Bull Racing in July 2014 with the two winners announced at the British Grand Prix. The placements will begin in September 2014. This once-in-a-lifetime scholarship includes a salary, accommodation, and the use of a car. “One of the key advantages of our partnership with Infiniti is our ability to utilise their resources, from materials to processes and people. As such it is really interesting for us to benefit from a worldwide selection process which brings the best new talent through our door. How does news publishing change when a newspaper sells fewer than 300,000 copies but its website attracts 31 million visitors? These shifts are forcing assumptions and practices to be rethought from first principles. The internet is not simply allowing faster, wider distribution of material: digital technology is demanding transformative change. Journalism needs to be rethought globally and remade to meet the demands of new conditions. George Brock’s new book Out of Print: Newspapers, Journalism and the Business of News in the Digital Age examines the past, present and future for a fragile industry battling a perfect storm of falling circulations, reduced advertising revenue, rising print costs and the impact of citizen journalists and free news aggregators. · Journalism’s history shows that reporting the news is always being disrupted. The late 20th century was unusual for being a period when news was profitable and its institutions stable. Journalism has always had to adapt, experiment, improvise and renegotiate. · Only some journalism is under threat, particularly regional journalism. Many printed newspapers will survive, though in the UK there is currently over-supply in all national categories (mass market, mid-market, high end). · Print was in trouble before the internet came along. The peak year for daily and Sunday national paper circulation in Britain was 1955. What is falling apart is the industrial structure of the news business – and the ideas which went with it. The time when big news media dominated is over for print, broadcast and, even, online. · What the internet does to news is reroute information, measure who consumes what and rewrite the business model. It does not abolish peoples’ need to know or the need to navigate (huge) information flows – the importance of journalistic selection, navigation, curation and comment remains. · Unseen by many established journalists, a new generation of editors, writers and publishers are taking journalism’s values and trying to make them work in new contexts. The future of journalism depends on the quality of their experiments and failures to reboot journalism. · Online communications bring the industrial phase of news media to an end, returning it – via social networks – to something which looks more like the news publishing of an earlier era. · Online news platforms may not yet rival the institutions of mainstream media, but a few have moved past the phase of being fragile startups. Their agility (and lower cost base) will give them an advantage over time. · If the journalists of tomorrow want to understand what happened and what will happen, they need to understand both what’s happening to journalism and to the business of news. It’s amazing how much broadcast tech is finding its way into the hands of the non-telly market. Get in there. Get reporting..
Take Livewire Digital’s NetCaster, for example. 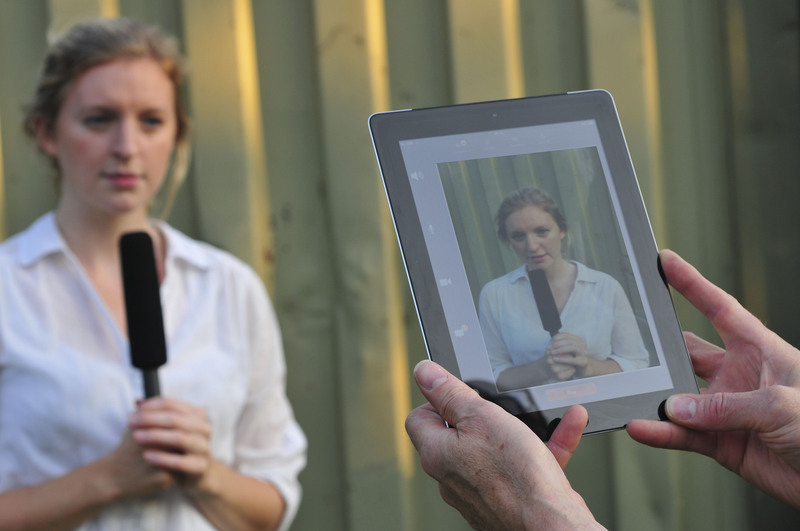 A low-cost iPhone and iPad app can be used by groups of untrained personnel to send in realtime photos, sequences of stills and video directly to a producer or a command centre. Ideal for event organisers, the emergency services, the military and NGOs, this new application is perfect for breaking news coverage of sporting events, expeditions and situation awareness. Designed to help users reduce and manage operational costs, this new app provides rock solid audio and uses the ‘pay by volume’ Inmarsat satellite service to transfer media. Netcaster uses sophisticated bandwidth control to efficiently deliver media to base – be these photos, realtime sequences of stills or motion video. Producers or command centre staff at base can then determine how the footage from multiple field personnel is presented to the viewers. Easy-to-use production facilities offer split-screen functionality so the producer or command centre staff can view media from up to six contributors at once and manage their audio feeds.